1. Aerin Rose Balm Lipstick in Pretty - One of the most perfect natural lip colors with a fantastic texture to match. 2. Marc Jacobs Lip Gel in Roleplay- A bit deeper than my regular lips, this works great with neutral eyes and cheeks for a great everyday look. 3. Aerin Rose Balm Lipstick in Coral Sand - I am not typically a fan of light coral shades, but this one manages to make the cut - probably because it has a bit more of a brown undertone to help balance out the orange. 4. Hourglass Opaque Liquid Lipstick in Canvas - I have been wearing this shade for years and it never lets me down. And it is the one color that I always bring with me on vacation - that is probably the biggest compliment a lip color can get. 5. 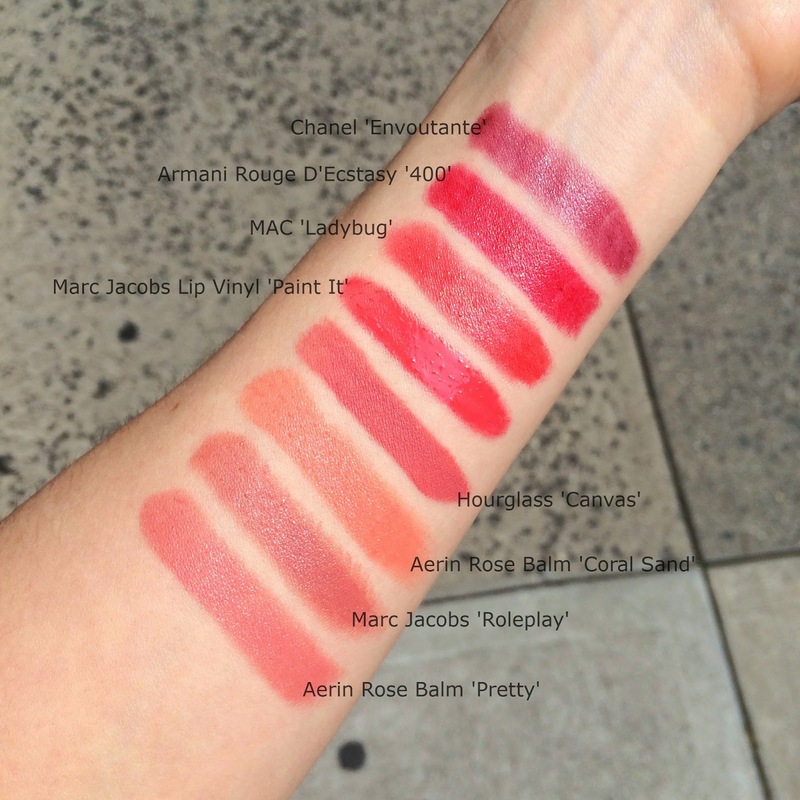 Marc Jacobs Lip Vinyl in Paint It - A raspberry shade that works with just about any look. 6. MAC Ladybug - The one red shade that I find perfect for wearing to the office as well as to dinner. Sheer and buildable, this color would work for almost any skin tone. 7. Armani Rouge Ecstasy in 400 - Everyone is always looking for that "perfect red", and this is mine. 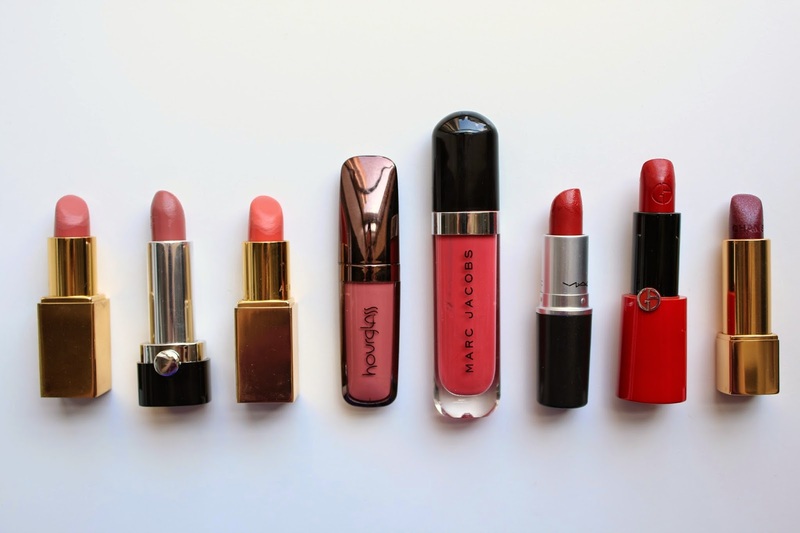 Not too orange, not too blue, it is the essential classic red lipstick everyone needs. 8. Chanel Rouge Allure Luminous Intense in Envoutante - I was a bit hesitant to dive into the world of vampy lip shades, but this one helped me ease my way in. A great texture and not too dark for my pale skin. My fall wardrobe is not complete without this shade.